It does not matter whether a custom jewelry request is for a unique beaded jewelry design or a feminine and chic contemporary jewelry design, I always enjoy custom jewelry projects. Even more enjoyable is when they are for someone's special day. In this case, the beautiful bride, Amanda, was referred to Crystal Allure Jewelry for her bridesmaids jewelry gift sets. Amanda was having a late summer wedding and her color was purple (my personal fav!!). 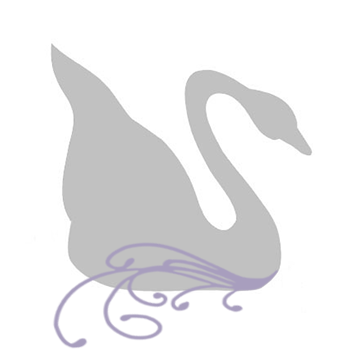 She had chosen a lovely lavender bridesmaid dress, from the Forever Yours Collection, for her six bridesmaids. With a swatch in hand, I went to work. Swarovski offers a variety of purple colored crystals and to keep the shades from clashing, I went with a deep purple velvet crystal. The finished bridesmaids jewelry gift sets were a three-bead Swarovski Crystal pendant on an elegant sterling silver chain with coordinating crystal drop earrings. Congratulations to both Amanda and Michael on their August 20, 2011 wedding! 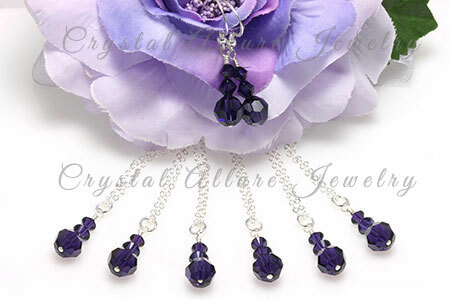 And thank you Amanda for choosing Crystal Allure Jewelry for your Custom Crystal Bridesmaids Jewelry Sets. Getting married or have a friend getting married? 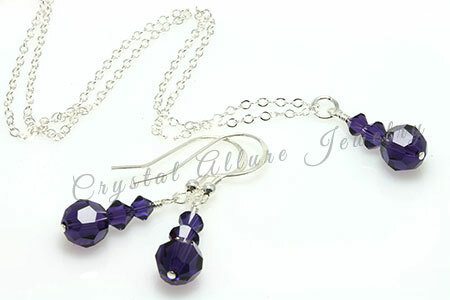 Let Crystal Allure Jewelry design your custom bridal jewelry or bridesmaid jewelry. Contact us for more details. It's great how a good piece of jewellery comes from a proper understanding of the design and how it sits compared with just the value of it's components. Even the most simple of materials, when designed well can become beautiful pieces. Well done on these they're a fantastic set. Welcome Jennifer! Thank you for your lovely and thought comments on my custom bridesmaid jewelry design. The deciding factor in a more detailed design vs. a more contemporary design rested in the fact that the dresses already had an embellishment at the waist. So as not to compete with the dress, I opted for a more contemporary style. And it turned out beautifully!